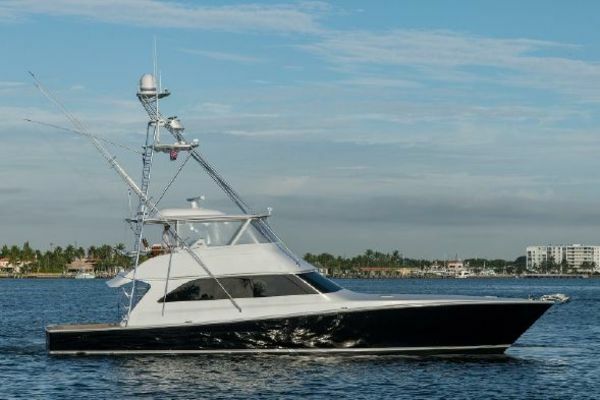 This 1996 50' Post has been meticulously cared for by her experienced owner and has never been fished. With low original hours on her well-maintained MAN engines and significant upgrades and updates made in 2017 (over $40,000 spent) this yacht is turnkey ready for her new owners. The 50' Post was one of the most successful models ever for the company and was in production from 1989 through 2009, an unparalleled model run with over 100 50's delivered over that timeframe. "Shell Horizons" offers a spacious 3-stateroom interior and features the fit and finish that Post was known for, particularly in her cabinetry and joinery. The 50' provides a comfortable ride with efficient operation thanks to her solid glass bottom, wide beam, and low-deadrise modified-V hull. "Shell Horizons" offers a 3-stateroom, 2-head layout with the master stateroom and ensuite head forward. Thanks to the 50' carrying her full beam aft the interior accommodations are spacious, comparing better to a 55-footer than to her competition in the 50' range. The salon offers plentiful seating with a dinette to starboard, while the galley is down two steps to port. A detailed exclusions list will be provided upon request.